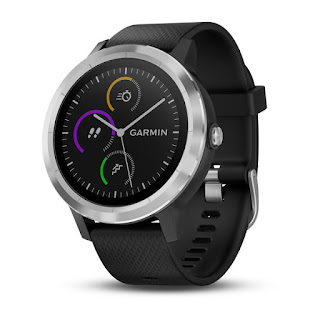 Meet the new smartwatch called Germin Vivoactive 3, This new smartwatch was in germin store and it has been priced at $299 in the US. The amazing Smartwatch offers over 15 preloaded sports apps and also pack built-in GPS. The new Germin Vivoactive Smartphone sports a chroma display with LED backlighting and it features a 1.2-inch with a screen resolution of 240x240pixels. 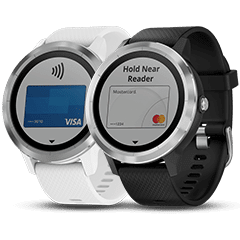 This Germin Vivoactive 3 wearable smartwatch comes with stunning gorilla glass on top of the display and the bezel is made of stainless steel. one of the most interesting features about this smartwatch is that it allows you to pay for a purchase by using your debit card and of course you can also use it to receive calls, Social media update and text messages from friends and loved ones. The Germin Vivoactive 3 wearable Smartwatch is now available to buy Here on Germin Store.